While reading up on ways to improve my daily cleaning, I found a suggestion that said you should use an apron. I’ve never worn one before and never had any intention of ever doing so either. 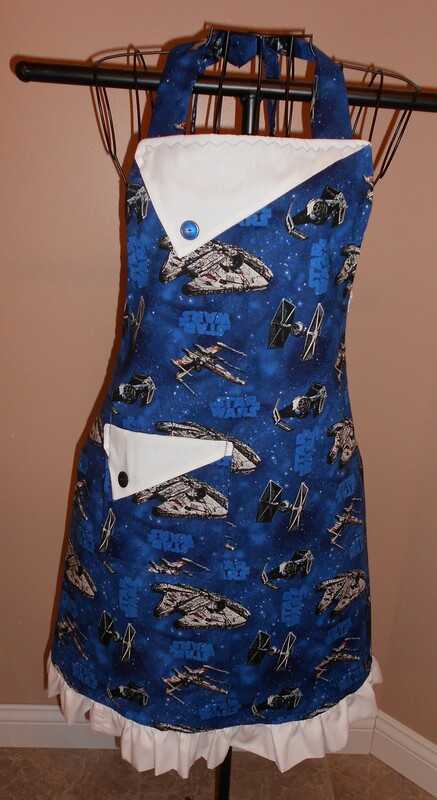 To keep with the spirit of the book, I decided to set out to find an inexpensive, but cute and geeky apron. I found several stores that sold things I liked, but none were in the price range I was looking for. Finally, I found what I was looking for in HandmadensCrafts’ store. The design of most of their aprons is the same, but what makes them all different are the various fabric patterns they use. 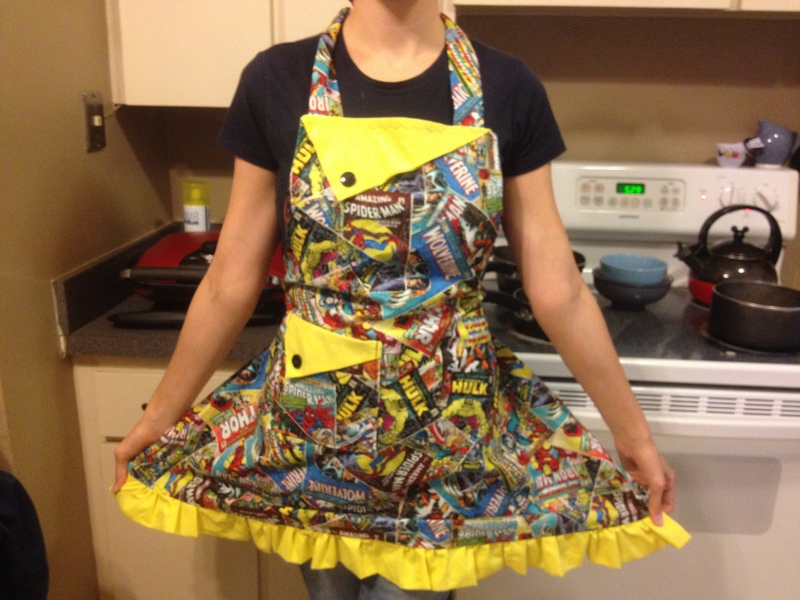 From funky patterns to super heroes, you can find an apron that will work for you. 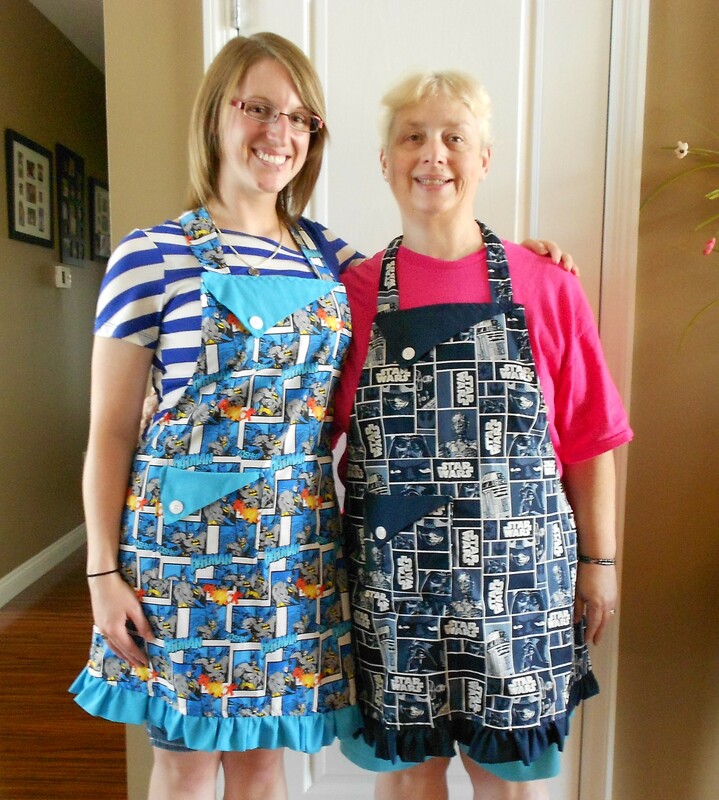 Each apron is handmade and can be done in an adult male or female form as well as children’s sizes. They both enjoy the “therapy” it gives them to create and making things themselves. Half the fun for them is working on a new creation and seeing what it will look like in the end.